We received a press release email this morning stating that the Nokia N9 is now shipping along with its price, we checked the availability page over on Nokia Europe and it does not include USA or the UK. We will get to the prices in a moment, first up the Nokia N9 has been talked about a lot and we have received many emails asking what the price will be and of course when it will be releasing, now that is shipping we will be emailing those that asked the above questions. 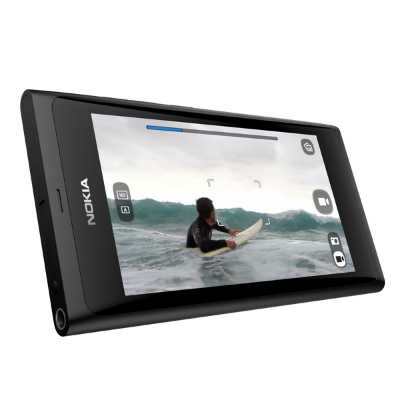 This main features on this smartphone includes 3.9-inch AMOLED touchscreen with scratch-resistant curved glass, NFC technology, 8-megapixel Carl Zeiss with auto focus, wide-angle lens for HD-quality video and photo capture, MeeGo for Nokia N9 (MeeGo 1.2 Harmattan), Mobile Internet radio that includes music straight out of the box that will not include fees or account creations. It also features Dolby Digital Plus decoding and Dolby Headphone post-processing technology, Free turn-by-turn drive and walk navigation that includes voice-guided maps, comes with all the top social networking sites such as Twitter and Facebook thanks to preloaded apps. Customers will love the intuitive user interface, that is very easy to use thanks to the simple swipe feature, there is no home key to worry about, there is three home views that includes events / live applications and applications. You will be able to choose between three colours, which include magenta, black and cyan. There are two GB versions such as the 16GB and 64GB storage options. The Nokia N9 16GB will cost EUR 480, and the 64GB version is 560 before applicable taxes or subsidies, please visit Nokia for more information. You can also check out the Nokia N9 availability page to see you can purchase in your country. 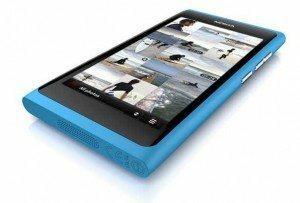 Please do let us know if you will be getting your hands on the Nokia N9 smartphone, if you have anything to say about the Nokia N9 please do so in the commenting area provided below. i am waiting for it……..